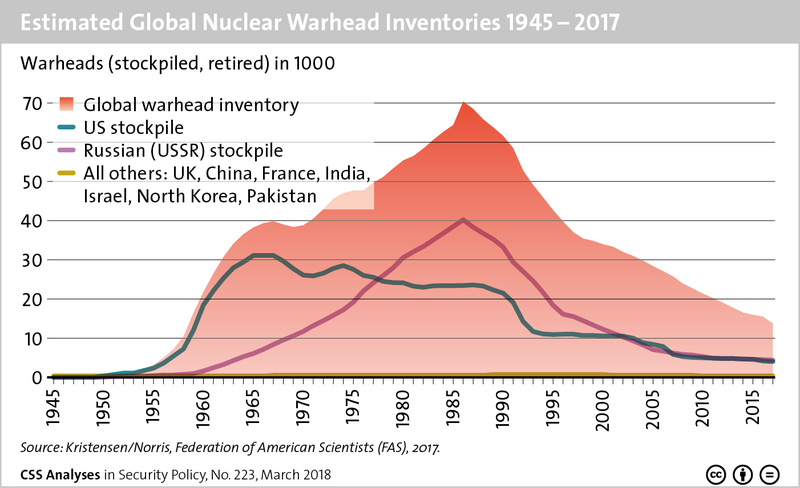 This graphic provides an overview of estimated global nuclear warhead inventories from 1945 to 2017. To find out more about the Trump administration’s ‘Nuclear Posture Review’ and what it means for US nuclear policy, see Oliver Thränert ‘s recent addition to the CSS’ Analyses in Security Policy series here. For more CSS charts and graphs on proliferation, click here.